R. Baker & Son recently performed a rigging project to install two large lyophilizers on the second floor of a large pharmaceutical plant. Because some pieces were as large as 60,000 lbs., the floor had to be reinforced along the route in which the loads were to be rigged before work could begin. A structural engineer helped the Baker team design the support system to shore up existing steel members and approved the final drawings, and the floor reinforcements were constructed. 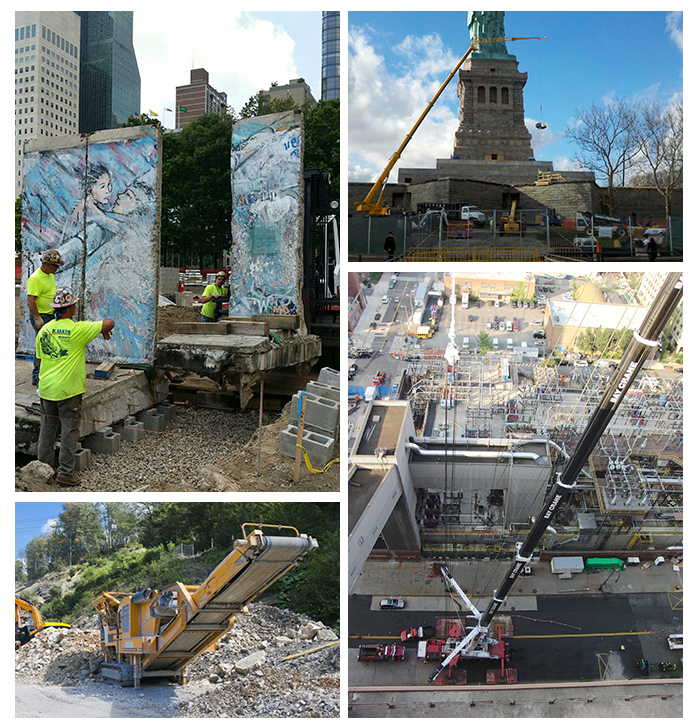 The lyophilizer pieces were transported by truck to the project site, and a crane was maneuvered into the tight access area where a platform had been constructed at the building opening. One by one, the Baker crew rigged lyophilizer chambers, refrigeration skids, and condensing skids from the trailer to the platform and rolled the live loads on skates into the building. They carefully transported the live loads along the 100-ft. route marked on protective heavy-duty masonite sheeting. Precise placement of the lyophilizers was imperative to ensure that adjacent equipment could be connected properly, so laser-aligned holes were predrilled in the floor. R. Baker & Son carefully rigged, set, assembled, and secured each piece of equipment. The project was successfully completed on-time and on-budget.